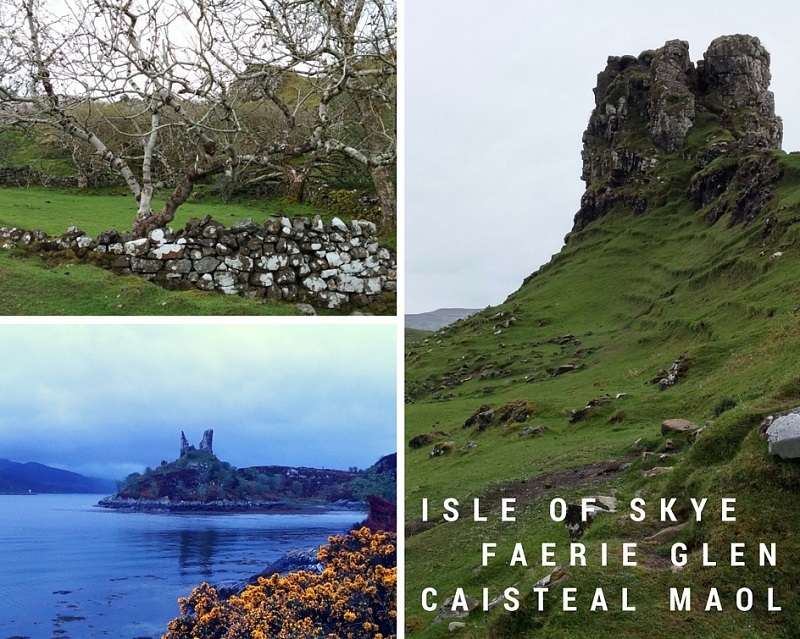 Time for another part of my Scotland tour: from Lewis, we made our way to the Isle of Skye, a famously breathtaking island that is filled with faeries. The first stop on the island was the famed Faerie Glen, where you can climb onto a faerie “castle” and see the entrance to a cave that leads into the faerie realm. You must be careful not to take even a twig as a souvenir though, because otherwise the fae will make sure you’ll have bad luck until the item is returned! We also saw the famous Kilt Rock and it’s waterfall and later spent the night at Kyleakin where I did an evening walk to the Castle Moil, which was stunning in the evening light. 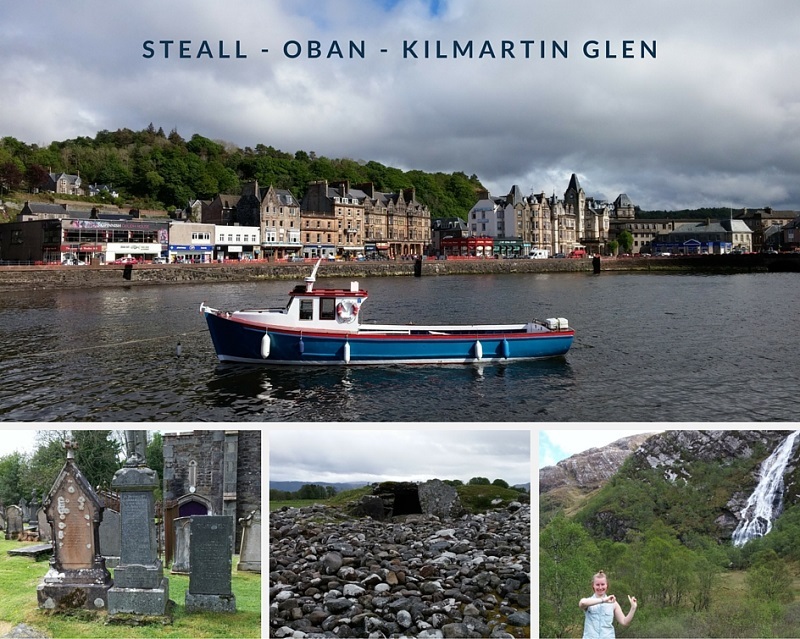 From Skye, we crossed on a ferry back to the mainland and to Oban – but not before visiting Fort William and the Steall waterfall in Glen Nevis. As a massive Harry Potter fan, I was really excited when we stopped at the Glenfinnan viaduct on our way to Fort William. Glenfinnan viaduct featured in Chamber of Secrets in the scene where Harry and Ron try to find the Hogwarts Express while flying in the Ford Anglia. And speaking of the Hogwarts Express, you can see the actual train either puffing over the viaduct or on your stop at Fort William. You can even ride the train! How cool is that? After a lunch in the picturesque Fort William, we hiked up the mountain sides to the second largest waterfall, Steall, in Glen Nevis. The scenery was unbelievable – jumping over little streams and climbing on rocks until you saw the massive waterfall completely made my day! Oban was our end destination and we stayed there for two nights. The small waterfront town has delicious seafood and lots of cruises going to the nearby islands, such as Mull and Iona. I spent my free day in Oban by doing a half day trip to Kilmartin Glen, an area that has a massive concentration of Neolitchic and Bronze Age remains and a museum that tells you all about them. The best part is that after the museum tour you can actually go and see all the places that are talked about. Imagine climbing into two ancient cairns (tombs) and walking across a field with fluffy sheep before resting your eyes on ritual places, such as the Templewood stone circles. It felt like being sucked into a historical novel.